The rotational nature of shifting cultivation poses several challenges to its detection by remote sensing. Consequently, there is a lack of spatial data on the dynamics of shifting cultivation landscapes on a regional, i.e. sub-national, or national level. We present an approach based on a time series of Landsat and MODIS data and landscape metrics to delineate the dynamics of shifting cultivation landscapes. Our results reveal that shifting cultivation is a land use system still widely and dynamically utilized in northern Laos. While there is an overall reduction in the areas dominated by shifting cultivation, some regions also show an expansion. A review of relevant reports and articles indicates that policies tend to lead to a reduction while market forces can result in both expansion and reduction. 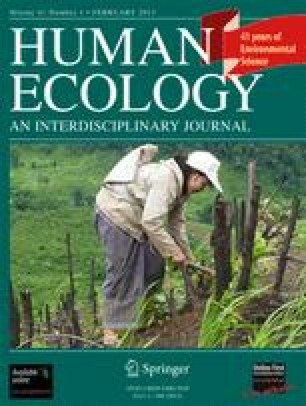 For a better understanding of the different factors affecting shifting cultivation landscapes in Laos, further research should focus on spatially explicit analyses. McGarigal, K., Cushman, S. A., Neel, M. C., and Ene, E. (2002). FRAGSTATS: Spatial Pattern Analysis Program for Categorical Maps. Computer software program produced by the authors at the University of Massachusetts, Amherst. Available at the following web site: www.umass.edu/landeco/research/fragstats/fragstats.html.